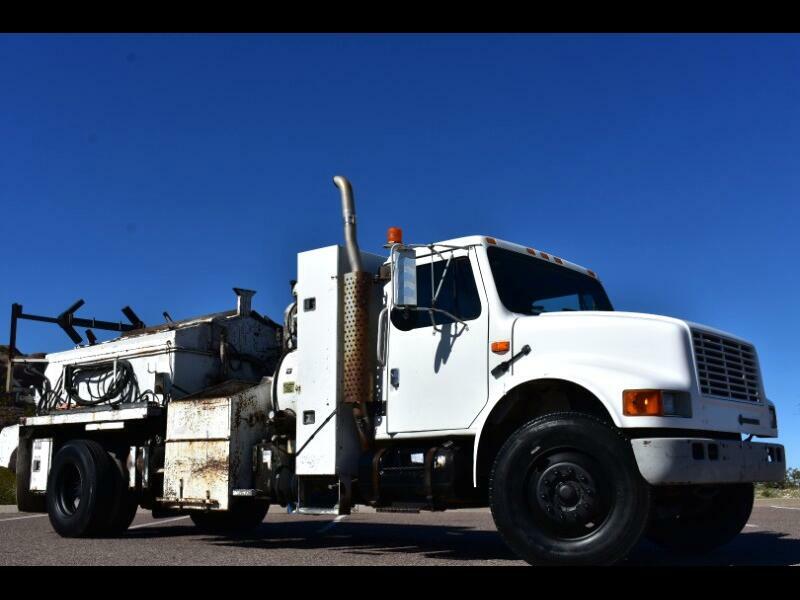 Scottsdale Wholesale Direct has a ONE OWNER/NO ACCIDENT ARIZONA OWNED 1993 International 4700 P-B Loader Asphalt Emulsion Oil Sprayer and a Heil dump body. This truck was owned and operated by the city of Phoenix, AZ and it was maintained and serviced every 3,000 miles. It has absolutely no rust and is completely set up for asphalt patching or paving work. This ONE OWNER/ARIZONA RUST FREE work truck is set up to go out and start making you money. If you own a company in this kind of work you won't want to pass up this RUST FREE LOW MILE Arizona truck! This is an 80" wide steel cab and chassis that has already been modified with a P-B Loader Emulsion Oil Sprayer and Heil Dump Body. The exterior has average wear and tear for being a heavy duty work truck with average rock chips, scratches and dings but nothing major. This International Patch Truck comes with 5.9L L6 diesel engine, automatic transmission, and air-brakes. This truck only has 101k miles and 13,152 hours, please see pictures. It runs and drives perfect and the City of Phoenix owned this truck and they have a strict regimen for servicing their vehicles every 3,000 miles. It has steel wheels with Aeolus HN06 Load Range H (11R22.5) tires in the front and a Michelin radial xt-1 on the rear driver side. The interior is clean IT has a cloth bench seat, rubber floors. truck has no radio at this time.